Well, you must be wondering why on earth someone would want to sign out of iCloud without password. When you are giving away your device to a family member or a friend to use or reselling it, but you have forgotten the password as you rarely used it in recent times. On the contrary, you might have got a used iPhone from someone for cheap and while trying to get into it, it asks for an Apple ID and passcode. These situations strongly ask for signing out of iCloud without a password, so that you can access the device. We are here to lend you support for the above mentioned scenarios. 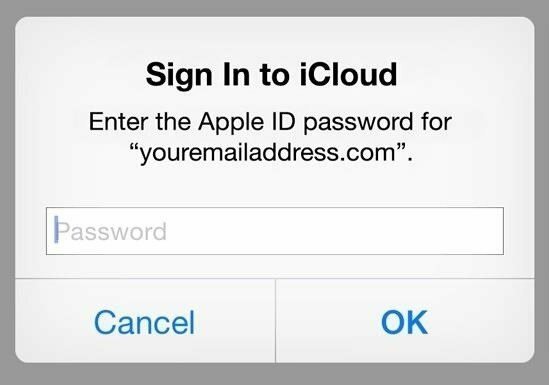 In this article, we are explaining how to sign out of iCloud without passwordin various ways. What iCloud Passcode Can Do? 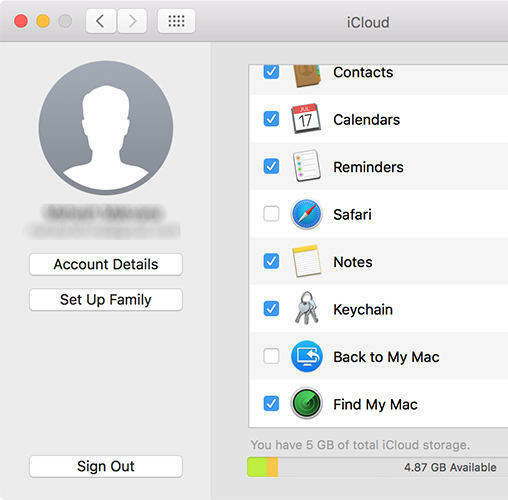 Before you sign out of iCloud without password, let's learn what your iCloud passcode can do for you. 1. The passcode along with your Apple ID is responsible to safeguard your iOS device information that you have stored on iCloud. 2. You are able to remotely erase your iPhone/iPad/iPod Touch through 'Find My iPhone' feature using iCloud passcode. 3. Moreover, with an iCloud passcode, you can also locate your device or even lock it down in case you've forgotten/lost it somewhere. It is always advised to frequently change iCloud passcode for protecting your information. For a crucial situation, where you lost or forgot your iCloud passcode and want to erase your iCloud account from a device, you can follow the under mentioned procedure to do that properly. Removing the iCloud account though would make the iPhone/iOS device de-linked and allow it to be used with a new iCloud account. 1. On your iPhone, go to 'Settings' and click on 'iCloud'. Now, you will be prompted to enter a password. Key in any random number and hit 'Done'. 2. iCloud will say that you have entered an incorrect password and username. Now, tap 'OK' button and hit 'Cancel' afterwards to open the iCloud page. Press on your account again and then wipe off the 'Description' followed by tapping 'Done' on the top-right corner of your iPhone screen. 3. You will navigate to the iCloud account settings page sans any password. But, you will notice that 'Find My iPhone' feature gets auto-turned off after this. Go down to find and click the 'Delete' button and then confirm your selection by clicking the 'Delete' button again. It will delete your iCloud account from your iPhone without any password as you can sign out of iCloud without password. Step 1 Download 4uKey on your computer or Mac, then connect your iPhone oafter installed it. Choose the function "Unlock Apple ID" then 4uKey will detect your iPhone. Step 2 After Tenorshare 4uKey has detected your iPhone, you wills ee follow interface, just click button "Start" to continue. Step 3 If the "FInd My iPhone" is on and your iPhone is under iOS 11.4, you must reset your device first. Detailed steps as follow: go to "Settings > General > Reset All Settings". After operate this, the removing Apple ID process will work immediately. Now, just wait a minutes. Step 4 When your Apple ID or iCloud account has been removed successfully, 4uKey will tell you "Removed the Apple ID Susscessfully" on its interface. Here is an extra tip for you apart from learning how to sign out of iCloud without password. It is recommended to have a reliable tool for extracting iCloud backup. Tenorshare UltData is among the most coveted iOS data recovery tool, which you can use to preview any lost data before recovering it. Moreover, it can recover data selectively or completely from iCloud/iTunes backup file or iOS device itself. More than 20 file types are supported for recovery by this eminent software without any data loss. Step 1 Download, install and run Tenorshare UltData on your computer. Click on 'Recover from iCloud Backup File' from the program interface. Log in into the iCloud account. Step 2 Select a desired iCloud backup file from the displayed list and hit 'Next'. You can choose the file types selectively or pick them all and hit 'Next' to initiate downloading from iCloud. Step 3 Now, the data gets downloaded and then scanned afterwards by UltData. Preview of the downloaded files will be visible here. You can select the file type from the left and get the list on the mid of the page to preview. Step 4 Select the desired files and hit 'Recover'. Tapping 'Output Settings' allows you to choose output file formats, set a destination folder and press 'Save'. Click on either 'Recover to Device' or 'Recover to Computer' as per needs. Loads of time people have wondered how to sign out of iCloud without password and fail to get any desired results. Therefore, we have taken the initiative to make those people equip with full knowledge on it. Moreover, we have given an extra bonus tip to the users too. We hope you liked our efforts and fulfilled your purpose.